Apart Barbara is a new, modern holiday flat. It has two bedrooms, one with king-size double bed and large wardrobe and one with two single beds and large warderobe. The kitchen is completely furnished and equipped with dishwasher, cooker, electric kettle and microwave oven. The living room has a comfortable sofa bed and satellite TV. The modern bathroom is equipped with a shower, WC and basin. Apart Barbara has a lovely terrace with a beautiful view of the mountain landscape and a nice garden to relax in. Pets are most welcome in Apart Barbara. Summer in Kauns...: Enjoy your summer holiday in Kauns - in the region of the ‘Naturpark Kaunergrat’. Enjoy traditional Austrian food, including locally produced bread, butter, cured ham (Speck) and mountain cheeses. Let nature lead you through meadows full with butterflies, rare plants and flowers, and see animals that only live in our Alpine region. Kaunertal is one of the last Alpine areas in which the ‘Steinbock’ (the Alpine Ibex) still thrives. Here is nature and tourism combined sensitively. You can also ride on our prize-winning Tyrolean Haflinger horses over the flowering meadows; or make day trips into the surrounding Alpine passes. Beautiful landscape, panoramic views and friendly people – that’s your holiday in Kauns! The Summer Card...: In summer and early autumn we give our guests a free Summer Card for the Tiroler Oberland. Summer Card holders enjoy free admission to the lakes, the outdoor swimming pool, the Kaunertal indoor pool, the tennis courts, the mini golf facilities and the Alpine curling facilities. Also included are activity programmes for children, guided mountain bike tours incl. rental bikes, guided walks, and guided tours of traditional manufacturers, etc. The Summer Card also gives great discounts on rafting trips and many other leisure programmes! Appartement très agréable, très bien équipé et confortable dans un environnement superbe. Propriétaire accueillante et réactive. Nous avons beaucoup apprécié ce séjour. Unser Urlaub im Tiroler Oberland (Österreich) war sehr schön. Unsere Ferienwohnung war wunderbar,sauber und praktisch - alles top ! Die Landschaft im Kaunertal ist ein Traum. Es gibt so viel zu sehen, daß eine Woche gar nicht ausreicht. Da kann man echt gut Urlaub machen. Ich bin mir sicher, daß wir mal wieder vorbeischauen werden. Wir waren als Familie mit zwei Kindern (7 und 4) zwei Wochen in der tollen Wohnung und hatten einen sehr schönen Urlaub. Die Wohnung war sehr sauber, super ausgestattet und wir haben uns sehr wohl gefühlt. In der Umgebung gibt es so viele Möglichkeiten zum Unternehmen und gucken und genießen, das wir gar nicht alles in der Zeit geschafft haben. Wir kommen bestimmt einmal wieder. Ski: Enjoy the winter in Kauns and use Kauns as starting point for a ski safari around the best ski regions such as Kaunertaler Glacier, Fendels (6km), Ladis-Fiss-Serfaus (12km), Nauders (30km), Venet (18km), or Samnaun/Ischgl (40km). Use one of the special ski passes which we offer, for example – Ski 6: A ski pass that includes Ladis-Fiss-Serfaus, Nauders, Kaunertaler Glacier, Venet and Fendels. Ski 6 includes 80 ski lifts with 360 piste kilometers. Or Ski Gold: A ski pass that includes Ischgl/Samnaun, Kaunertaler Glacier, Nauders and Fendels. By request it is possible to send you some information about the different ski passes. 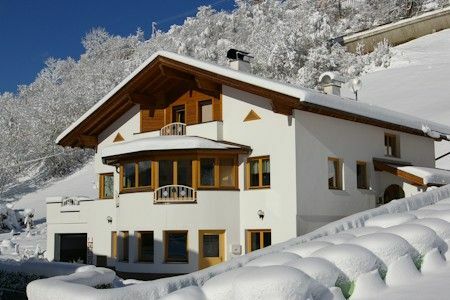 The holiday package would include the Ski 6 ski pass or Ski Gold pass and the accommodation in Apart Barbara. Nebenkosten: Ortstaxe von 1,90 € pro Nacht pro Person (Kinder unter 16 Jahren bezahlen keine Ortstaxe) und einmalige Endreinigung von 40,00 €. Im Mietpreis sind natürlich Wasser, Strom, Handtücher, Bettwäsche, und Küchenwäsche(Küchenrolle,Alufolie und Tabs für den Geschirrspüler) enthalten. Haustiere sind bei uns herzlich willkommen, wir berechnen wir 8 € pro Tier pro Tag. Unsere Urlaubsgäste im Sommer und Frühherbst erhalten kostenlos die Summer-Card. Mit dieser Karte geniessen Sie umfangreiche Angebote größtenteils zum Nulltarif und zum Teil mit reduzierten Preisen. Freier Eintritt in Schwimmbäder, Badeseen, Tennisplätze, Stockschießen, das gesamte Kinderprogramm, Führungen im Naturpark Kaunergrat und vieles mehr. By request it is possible to create a holiday package for you. The holiday package would include the Ski 6 ski pass (a Skipass which includes the ski regions Ladis-Fiss-Serfaus, Nauders, Kaunertaler Glacier, Venet and Fendels) or the Ski Gold ski pass (which includes the ski regions of Ischgl-Samnaun, Kaunertaler Glacier, Nauders and Fendels), or a ski pass for the Kaunertaler Glacier and Fendels and the accommodation in Apart Barbara. By request it is possible to send you some information about the different ski passes. In summer and early autumn we give our guests a free Summer Card for the Tiroler Oberland. Summer Card holders enjoy free admission to the lakes, the outdoor swimming pool, the Kaunertal indoor pool, the tennis courts, the mini golf facilities and the Alpine curling facilities. Also included are activity programmes for children, guided mountain bike tours incl. rental bikes, guided walks, and guided tours of traditional manufacturers, etc. The Summer Card also gives great discounts on rafting trips and many other leisure programmes!